One will be able to set daily time limits and mute push notifications using the new features. 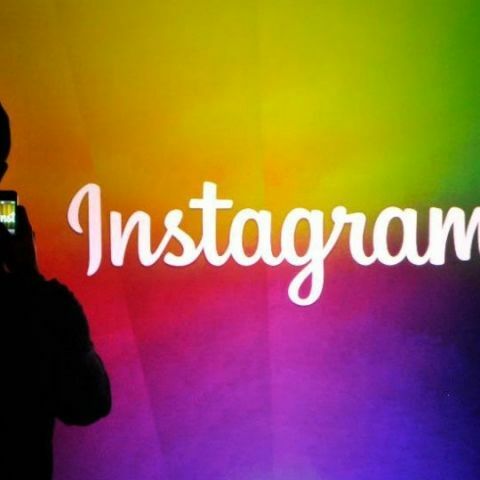 Most social media platforms are taking steps to ensure the digital wellbeing of their users and keeping this in mind, Instagram has introduced a new “Your Activity” feature. The company is now rolling out the new feature that will enable users to track how much time they are spending on the app and alongside viewing the amount of time spent on the app, one can also set daily time limits and there's an option to mute those distracting push notifications temporarily. The options are made for helping users figure out how to limit their usage on the app and can be found in the hamburger icon on the upper right corner of the user’s profile page. We found the option enabled on an iPhone but not on out Android-powered handsets, which suggests that Android phone users might have to wait for some time before the feature is made available for them. Technology companies have realised how addictive and problematic their services can. There are tons of studies that show how excessive social media consumption can be bad for you. Google was one of the first companies to take initiative and announce an activity Dashboard on its Android P OS at this year’s Google I/O. 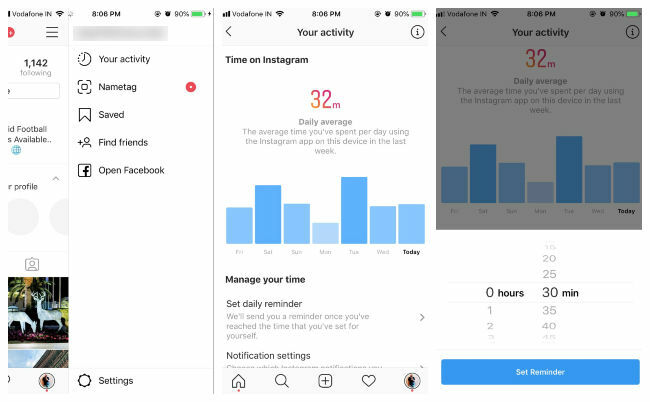 Apple then introduced Screen Time on iOS 12 and other companies like Facebook and Instagram have now introduced tools to help users monitor as and manage their time on its platforms.